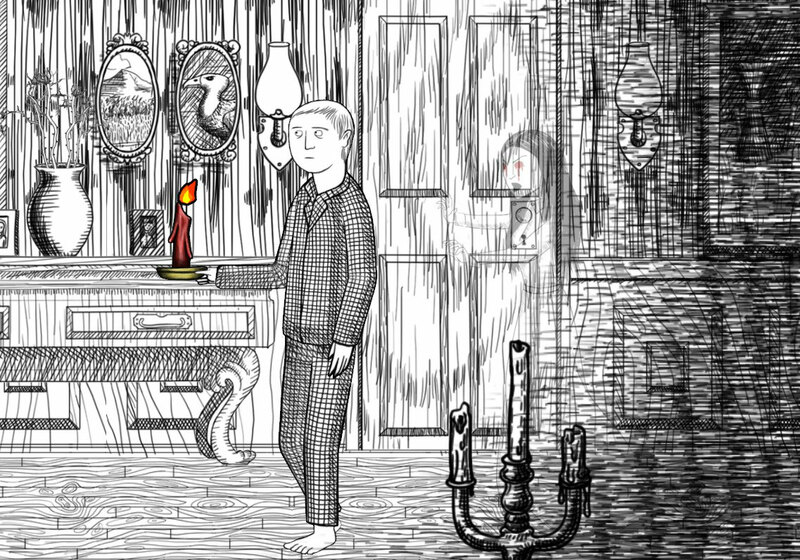 As far as horror games go, Neverending Nightmares’ [official site] grainy, monochromatic animations set the perfect scene. 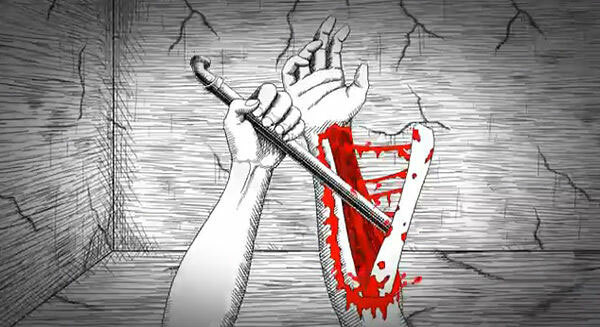 The sketchy, hand-drawn shadows that guard its borders create an enduring sense of confinement, and the splashes of colour which dance their way into certain frames – stained glass windows, orange candlelight, radiant pink pocket flowers, and, of course, streams of crimson blood – serve to accentuate the perpetual darkness beyond, and the evils that often lie within. 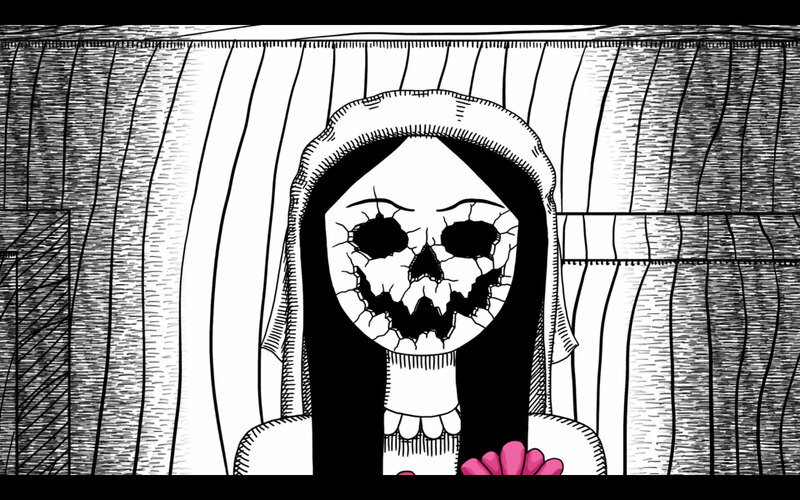 Yet it’s the message that lies beneath this obvious visual veneer that makes Neverending Nightmares’ art style most interesting. 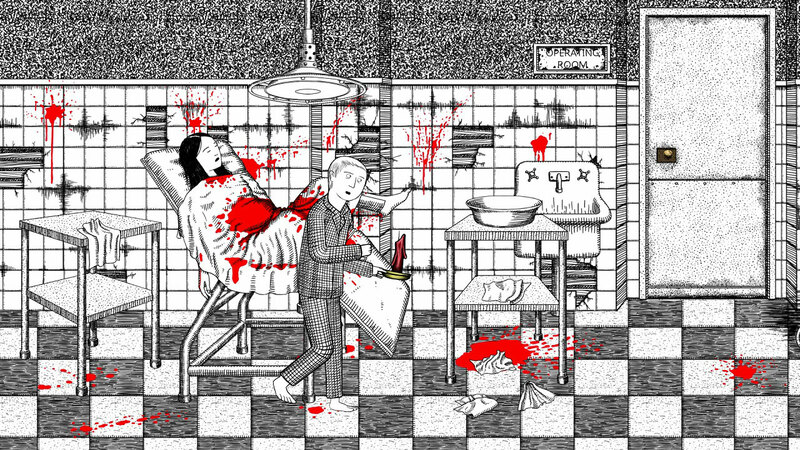 The game’s creator, Matt Gilgenbach, has long suffered from obsessive compulsive disorder and has spoken quite openly in the past about how his own personal depressive tendencies are reflected in its aesthetics. 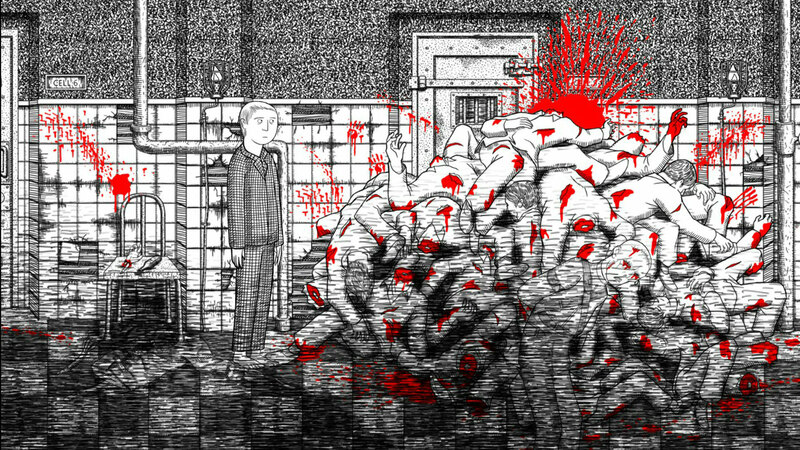 Neverending Nightmares is a game that holds a mirror to mental illness by creating demonic manifestations of Gilgenbach’s innermost feelings, and as the player delves deeper into its narrative, the metaphorical monsters that protagonist Thomas Smith must face get progressively more terrifying. 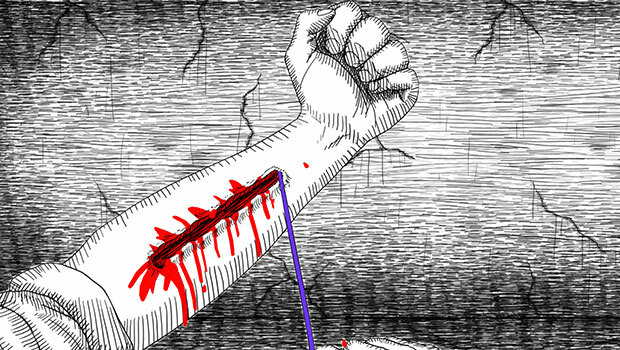 Smith is eventually seen self-harming and, while portrayed in the game’s animated style, it is harrowing. 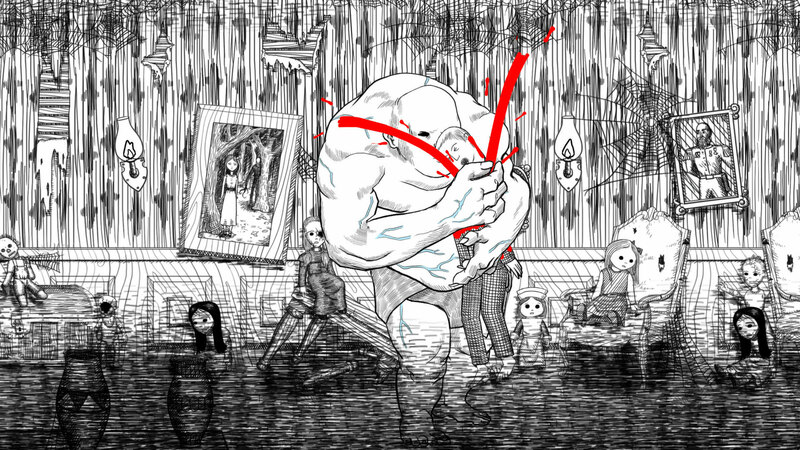 When I spoke to Gilgenbach not long after Neverending Nightmares’ release in 2014, he told me this approach was taken to both create something true to his experiences – he often suffered graphic visions of a similar nature – and also to capture a bleak, oppressive mood within a world that’s forever closing in on the player. 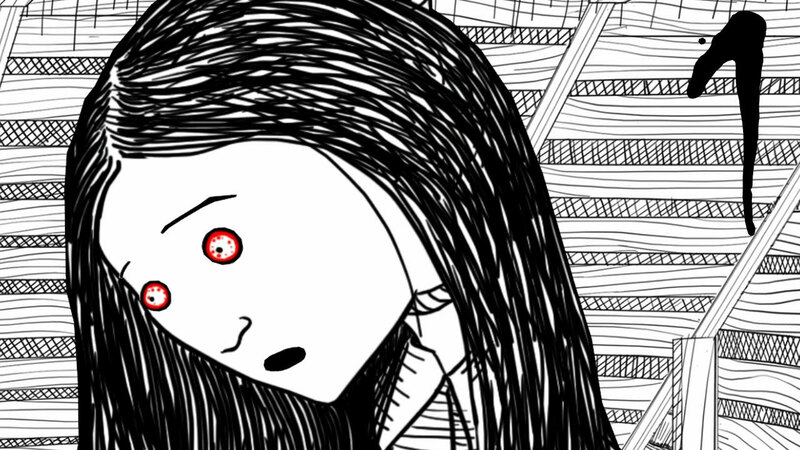 Neverending Nightmares’ art style can be enjoyed without this prior knowledge on a superficial level – for it is wonderful – but knowing this allows for appreciation on a deeper level; it reflects the creator’s personal struggles up until this particular stage in his life. Equally, approaching the game’s art style with such little restraint has not only helped Gilgenbach address his own feelings, but has also helped initiate a discourse around issues of mental health and how well placed videogames are as a persuasive medium in tackling such important, complex themes. This is undoubtedly a good thing. 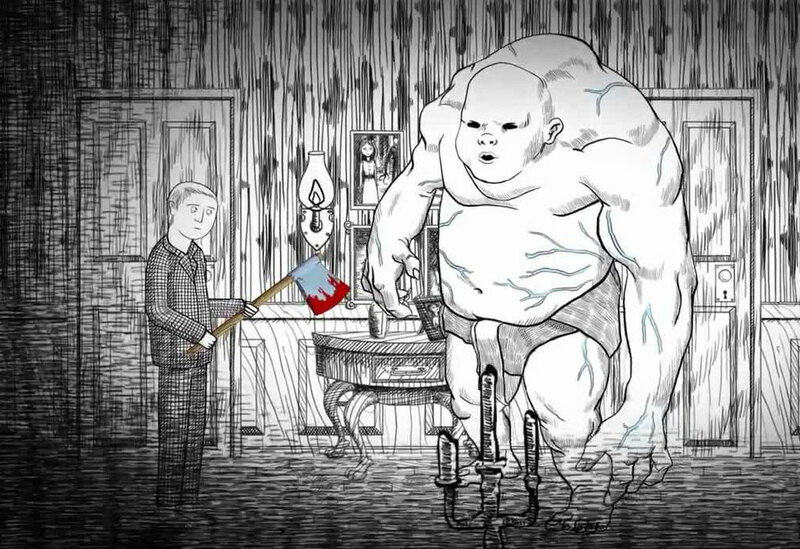 Tagged with feature, Matt Gilgenbach, Supporter, My Favourite Art Style, Neverending Nightmares.